The National Commission for Women has questioned the objectionable statement purported to have been made by BJP MLA Sadhana Singh on BSP supremo Mayawati and would formally issue a notice, seeking an explanation from her. According to reports, from Uttar Pradesh legislator some objectionable remarks on Mayawati over the infamous episode dating back to 1995 when the BSP chief was allegedly assaulted by Samajwadi Party workers at a guest house in Lucknow, triggering decades of animosity between the two parties. Taking suo motu cognisance of the reports, an NCW official said the commission would send a notice to Sadhana Singh regarding her statement and seek an explanation from her. According to the reports, Singh slammed Mayawati for forging an alliance with Akhilesh Yadav in Uttar Pradesh, saying the BSP chief had “sold her dignity” for power and comfort and that she was “a blot on womankind”. Singh also called the former Uttar Pradesh chief minister “worse than eunuchs”. 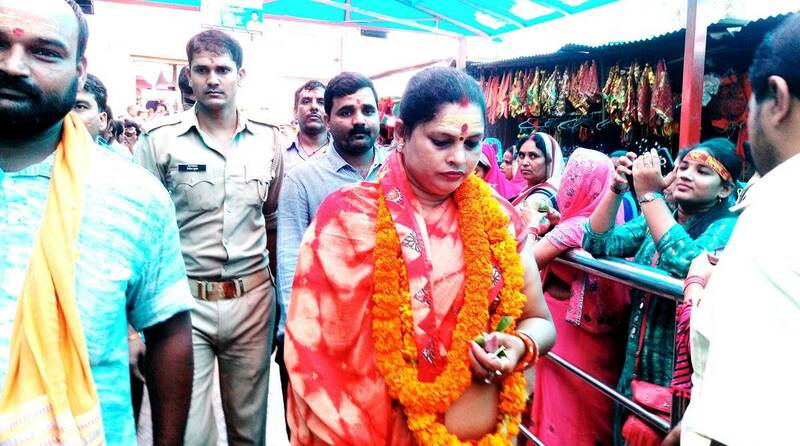 After her sexist remarks invited widespread criticism and condemnation, the Mughalsarai MLA issued a statement on Sunday, expressing regrets. “My intention was not to hurt anyone. I only wanted to remind Mayawati of the 2 June 1995 guest house incident when BJP had helped her. I regret if my words hurt anyone,” read the statement, which was in Hindi. Criticising Sadhana Singh’s remarks, BSP leader Satish Chandra Mishra called her “mentally ill”. “The language used by BJP leader Sadhana Singh against our party president Mayawati shows the level of the BJP… The level of language shows their mental illness. Such people should be admitted to the mental hospital of Agra or Bareli,” he said. Congress spokesperson Priyanka Chaturvedi said called the remarks “disturbing” but said it was not “surprising”. “One may have differences on issues and ideas but it disturbing: -That this lady represents the ruling party in UP-BJP (not surprising) -To hear a lady speak in such a derogatory way about another lady -To see people in the audience cheering such words,” she tweeted.